While an unpleasant topic, it is important to plan for incapacity and death. Many lawyers recommend making a will and power of attorney documents to ensure you have control over your own future and what will happen to your property after you die. Most people are familiar with what a will is and the kinds of family tensions that can arise after the death of a loved one. Fewer may be aware of what a power of attorney is and the problems that can arise when a family member becomes incapable of managing his or her own affairs. A Power of Attorney is a document that allows you to appoint a specific individual or individuals to make decisions on your behalf, while you are still living. In naming an individual, either a person or an institution, known as your "attorney," you are giving them the exclusive legal authority to act and make decisions on your behalf. In Ontario, there are two different kinds of Powers of Attorney. A Power of Attorney for Personal Care allows your attorney to make decisions about your healthcare, where you live, and your general well being. A Power of Attorney for Property authorizes your attorney to do anything that you can do with your property yourself, except make a will. Unless limited by the terms of the document, a Power of Attorney for Property provides broad authority, which can present opportunity for problems such as mismanagement of assets or any kind of legal issue touching on property, which can lead to fights within the family. Because Powers of Attorney for Property are such powerful legal tools, there is considerable risk of misuse and abuse. 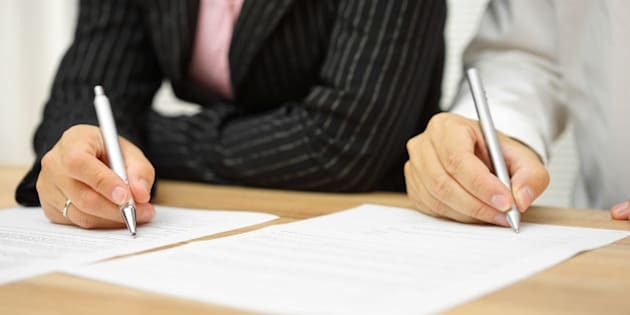 In a recent report on Legal Capacity, Decision-making, and Guardianship, the Law Commission of Ontario acknowledged that misuse of Powers of Attorney is a pervasive concern. Because they are private legal tools, however, there is little evidence or data available about rates of Power of Attorney misuse. You should carefully consider who you choose to appoint as attorney. It should be someone you trust and who is able to fulfil the role in your best wishes and in accordance with your wishes. If family members are unhappy with your choice of attorney or the choices being made by your attorney, they may challenge the validity of the power of attorney document or make it difficult for your attorney to do their job. Family members might challenge the validity of your Power of Attorney by suggesting that you did not have the mental capacity necessary to execute the document or suggesting that you were unduly influenced. They may also challenge the administration of your property by compelling the attorney to pass accounts (a court process that may deplete the assets available to fund ongoing care). It is important to communicate with your attorney and family members or other loved ones to avoid these kinds of problems from arising in the event that you become incapable. Your attorney must know of the appointment and understand the importance of the role. Acting as attorney is a difficult and time consuming job. Your attorney might wish to decline the position, allowing you to appoint someone else who might be more likely to accept the role. You should also communicate your wishes and expectations to your attorney. Your attorney should be made aware of what your assets are, in general terms. This will facilitate a smooth transition in the management of your financial affairs if you become incapable. Communicating with your family is another way to help avoid problems if you become incapable. If your family knows who you have appointed to be your attorney and your reasons for doing so, they may be less likely to challenge your choice later on, when you may be experiencing capacity issues. To help your friends and family avoid tension and, possibly, the time, stress, and costs related to litigation, it is important to have valid Powers of Attorney (preferably prepared by a lawyer), as well as open communication with your attorney and family members. By making sure the people who care about you are informed, many problems can be avoided.